Here is an amazing video tutorial for learning of drawing a perfect and quick pentagon. Here rockdraw will be sharing both the methods of drawing with compass and without compass as well. Watch these tutorial step by step and act according to what is being said in videos. This drawing can easily be learned by both beginners, kids as well. All you needed is a pencil and paper for startup. 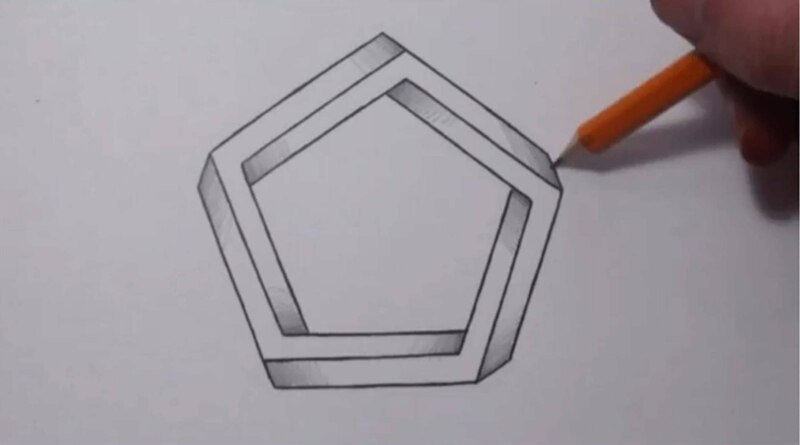 In one method you will need a compass for drawing purpose of pentagon, while in another technique you will learn how easy it is to draw without any compass. First tutorial is about drawing with a compass, so after learning this, it will become easy to sketch the pentagon without any additional instruments. Now here is another tutorial that will tell you easy tips for drawing a perfect pentagon with pencil without using any compass. These two videos are enough for you. Now its your turn and start drawing according to what tips you have got in these clips. Put your efforts on the paper and make a pentagon out of it-simple five sided building.